Looking for Tick Treatment Coffs Harbour? We provide expert tick treatment in Coffs Harbour and Toormina should your pet require attention. Most residents and regular visitors to the Coffs Coast are extremely aware of the presence of paralysis ticks in the area, and the risks posed to themselves and their pets. Although ticks are present all year round, ‘tick season’ is generally considered to be from July to December, with the highest number of cases of tick paralysis being seen in August to November. Prevention is better than cure, so preventative measures should be taken by all pet owners. The most important prevention of tick paralysis for all pets is early removal of the ticks, which means regular (daily) checking. You must search your pet from head to toe but as most ticks are found on the head and neck extra care should be taken in checking this area. If your pet has a thick or long coat and you find it difficult to check properly, consider clipping your pet’s coat shorter during tick season. Be aware that it is impossible to find every tick on every dog and so it is essential to use one of the various tick repellent products are available in addition to regular searching. We advise using a preventative product year round, if you do not do so then please at least use one during tick season. The newest group of chemicals used in tick control in dogs are the isoxazolines, Nexgard, Bravecto and Simparica. These are monthly or three monthly tablets for dogs and have proved to be very popular and very effective if used correctly. There are no isoxazolines currently available for use in cats. The only products licenced for the control of ticks on cats are Frontline Spray and Frontera Spray which contain fipronil. These are effective products but need to be applied thoroughly every three weeks. It is important to check the weight of your cat and then apply the correct amount of spray following the instructions on the bottle. These instructions vary depending on the brand and bottle size that you are using. Other effective tick preventative options for dogs include tick collars (eg Seresto and Preventic) and Frontline and Advantix. Frontline and Advantix need to be used every two weeks for tick control (something that many people have failed to do in the past). ADVANTIX MUST NEVER BE USED ON CATS as cats are sensitive to the high levels of pyrethrins that it contains and can die as a result. Note: If your animal is already showing signs of tick paralysis, immediate tick treatment by a veterinary clinic is required. Remove the tick using a tick twister (an implement designed for tick removal – available at our vet clinics), fingers or tweezers. Try to grasp the tick as close to the skin as possible, and twist the tick – this will help to dislodge the mouthparts from the skin. Put the tick in a sealable container or ziplock bag (alive if possible) to be identified by a vet to see if your pet requires veterinary attention. Always look for another tick! If your pet has one tick this signifies that they have been somewhere ticks are present, which means there could be more. ATAXIA – wobbly when walking, usually starting with the back legs. RETCHING/VOMITING – retching/coughing after eating/drinking can mean your pet is not swallowing properly. This can also be unrelated to feeding and can be quite persistent. WEAKNESS – sometimes your pet may look steady on their feet but may have trouble getting up, or trouble with stairs. LACK OF BLINK REFLEX – paralysis of the eyelids can be quite subtle, check for a full blink (where the eyelid fully closes) by lightly tapping the corner of each eye. This sign can sometimes indicate the location of the tick – if the tick has attached on the left side of the head, often the left eye will be more affected than the right. Sometimes you may think your pet is blinking fully but the eyelids aren’t quite meeting – this can manifest as a ‘gunky eye’. DYSPNOEA – increased respiratory effort. In severe cases, your pet may be anxious and panting or have a notable increase in effort breathing. Some affected animals make an abnormal noise when breathing, like a grunt or a wheeze. 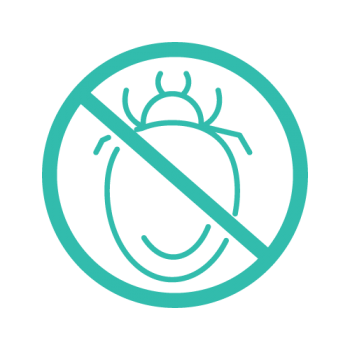 ABNORMAL VOCALISATION – paralysis of the vocal chords can affect your pet’s voice, so if its quieter than usual or sounds different, this can be a sign of tick paralysis. SORE – paralysis ticks bury their mouthparts deep into the skin and cause quite a big skin reaction (leaving a large crater), so this can be quite sore. Some dogs will resent you checking these areas, so get someone to help you hold the dog to check more closely in sensitive spots. ABNORMAL BEHAVIOUR – cats in particular sometimes don’t show the ‘classical’ signs of tick paralysis until severely affected, but often owners pick up on them being ‘not quite right’ quite early on. If you are concerned, call or visit your vet. How do I know when my dog or cat requires treatment? If your pet is showing any signs of tick paralysis, do not delay in seeking veterinary treatment. Tick venom binds quite slowly to the receptors in the body that cause paralysis, so even if the tick is found and removed, tick paralysis typically gets worse over the next 72hrs. This means that if you are already seeing signs, your animal is likely to get worse without treatment. What does tick treatment involve, and how does it work? Once tick paralysis has been diagnosed, it is important to reduce the stress your animal may be feeling or that may be caused by tick treatment procedures, so the vet will almost always give a sedative to your pet on the first day. For dogs, a catheter will be placed into the leg vein to allow intravenous administration of the tick serum. Anaphylactic reactions are VERY RARE in dogs, but the chance of a reaction is slightly higher if a dog has received tick serum before. Your vet will weigh up the risk to your animal although if your dog is already showing signs of paralysis, the risk of death by not treating is higher than the risk of anaphylaxis. The tick serum is diluted and warmed to body temperature, then given very slowly to help avoid anaphylactic reactions to the serum. For cats tick serum is usually administered by intraperitoneal injection – this means a needle is inserted into the abdomen and the serum is injected into the space between the organs. This is the recommended method of tick serum administration in cats by specialists. The tick serum absorbs into the blood stream from the peritoneal space (abdomen) steadily and slowly. The risk of anaphylactic reactions is slightly higher in cats than in dogs as the serum is prepared from dog blood, but is still very rare. If the vet feels your cat is at a higher risk (for example, if your cat has received tick serum before), they may elect to give purified tick serum. This is a more expensive serum and often the cat will be in hospital a little while longer than if normal tick serum is used, but the risk of anaphylaxis is reduced. If your animal is stable enough, they may be clipped immediately. This is a very important part of treatment for ticks because without clipping, it is difficult to be sure that no further ticks are present. The clip has the added benefit of allowing you to more easily check your pet for ticks for the next couple of months, when another tick would cause paralysis much faster. After clipping, either a tick rinse or application of frontline spray will be administered to your pet to cause death of any ticks not found with the initial check and clip. Your pet will be regularly tick searched by different people to ensure any other ticks are likely to be found before the venom causes clinical deterioration. Complications can arise that may require further treatment. If your pet is persistently vomiting anti-emetic drugs may be given to reduce this. Because the ability to swallow is reduced or absent with the majority of tick cases there is a risk your pet could aspirate, where the material is inhaled into the lungs. Another common complication that arises with the inability to swallow is dehydration, as we are not able to give your pet food or water by mouth. If your pet is dehydrated on presentation or has a prolonged stay in hospital, it is likely that the veterinary team will administer fluids either under the skin (subcutaneous fluids) or directly into a vein (intravenous fluids). If your pet’s breathing is severely affected at presentation, oxygen therapy can also be administered, either temporarily until your pet settles down and begins breathing more normally, or for longer periods during their hospital stay. If your pet has already aspirated food, water, vomit or saliva, antibiotics will also be administered as part of treatment. Do I need to treat my pet differently after tick treatment? Often animals will need to be rested for several weeks after treatment. This is to ensure they do not overexert themselves from excitation and cause a negative effect on the heart muscles. Your pet will still be in a weak condition and will need time to completely recover. Don’t delay and call 02 6652 1566 today for advice or immediate tick treatment.